As architectural trends move to more sustainable designs and eco-friendly creations, we are seeing shipping containers make an impression across the globe. 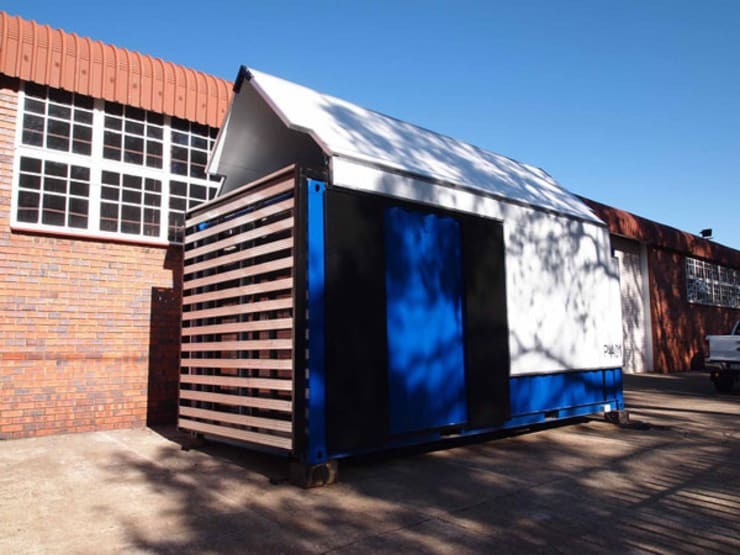 Even in South African architecture, we are seeing professionals play around with the concept of shipping containers! This may seem a little strange and possibly even a little grungy! Yet this is not the case. In fact containers can make for very stylish, trendy and innovative architecture. 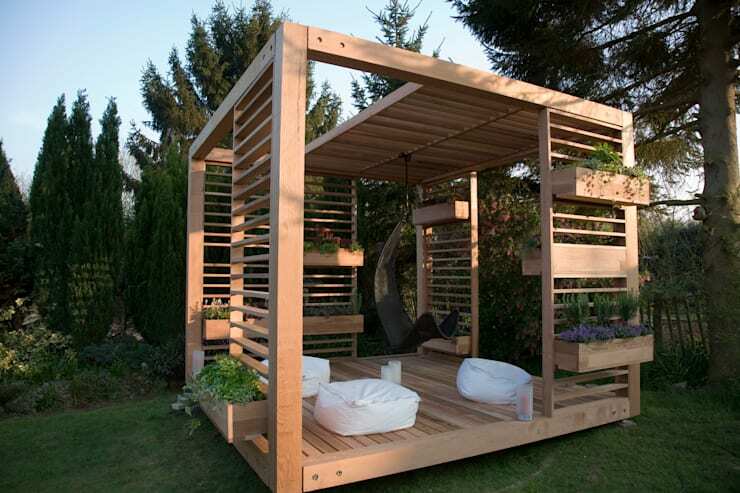 One place that container structures are being increasingly used is in the garden. In fact today on homify, we are going to explore 11 smart and affordable garden houses made from old shipping containers for inspiration. 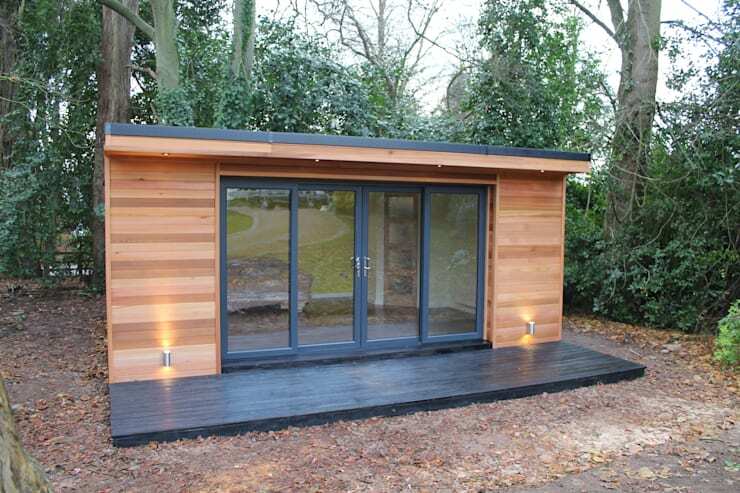 This modern little wooden garden shed is adapted from an old shipping container and shows that these designs are anything but grungy. 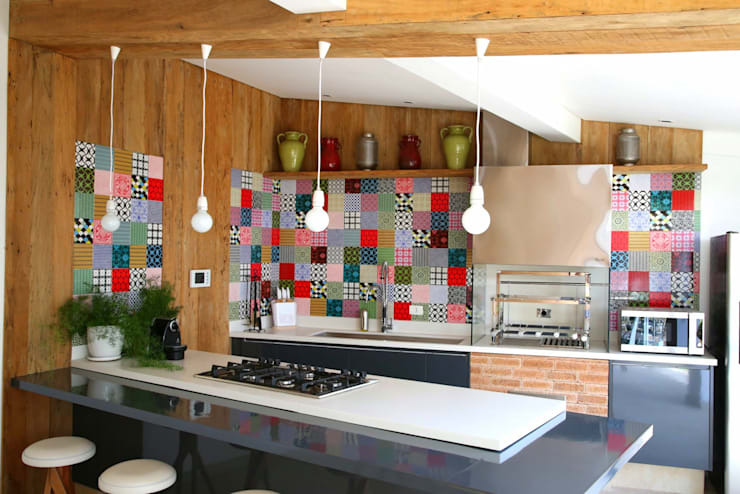 In fact, with its clean lines and warm wooden material, this is a very picturesque and contemporary design. 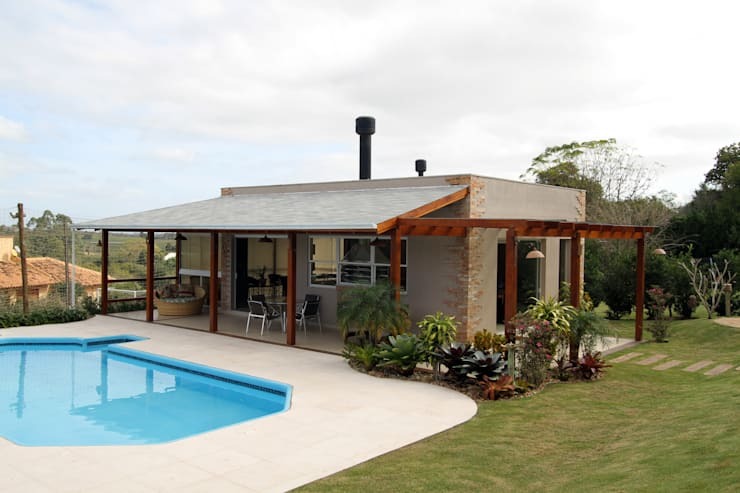 The wood also adds a rustic quality, allowing it to integrate into the beautiful nature that surrounds the home. This example by The Swift Organisation shows just how simple these structures are but they can add incredible functionality and style to an outdoor area. 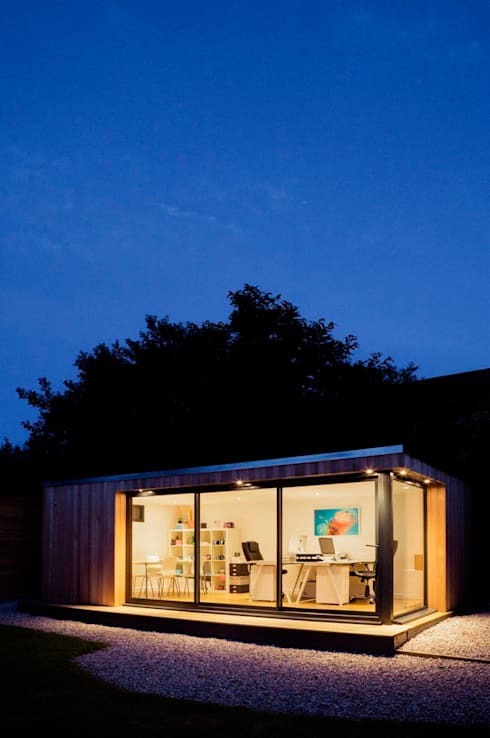 This garden house is used as an outdoor office and art studio. This gives family members a private space where they can work or do art in peace and quiet, surrounded by the beauty of nature. This pergola type outdoor garden house creates an outdoor terrace out of a shipping container structure in a very modern and sophisticated way. Using wood as the predominant material, the designers have created a very natural structure with clean lines detailed precision. This old shipping container has been modified with a sleek grey facade. A large frosted glass sliding door has been installed, adding to the appeal of this garden house. This is a space that could be used for anything from storing tools and equipment to an outdoor office area. 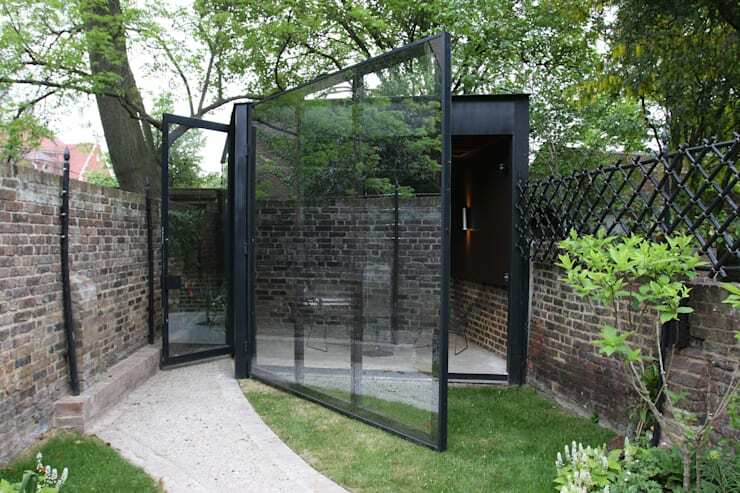 This old shipping container features a glass cube effect, which packs quite a punch. The entire front side of it is made of glass, which opens it up, connecting the interior and exterior space. Even when the door is closed, this area is in touch with nature. Don't you love how the raw brick walls, black iron and glass work together to create an industrial chic look and feel? Your garden house can also be raised above the ground, elevating it so that it doesn't ruin the grass. Install stairs, which will lead up to it. This design would be great for an outdoor cottage. It would make hosting the mother-in-law that much more pleasant! If you have teenagers, elderly parents or guests who visit regularly, you may want your garden house to be slightly more elaborate. 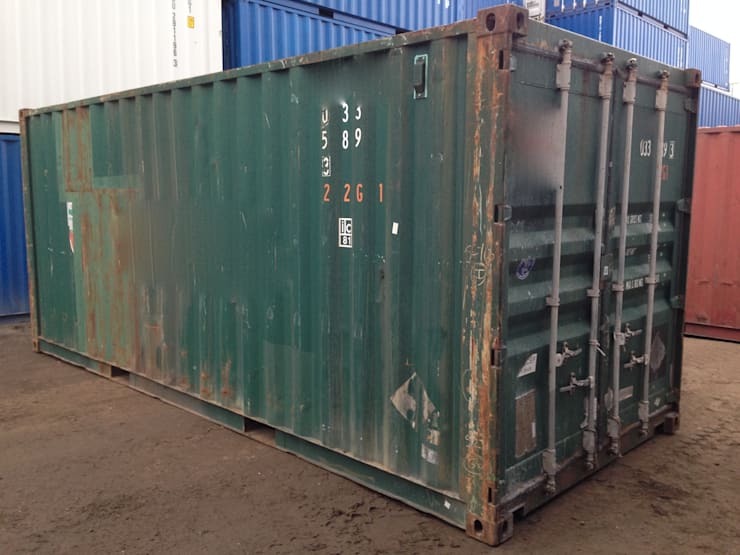 A shipping container can still be a great option! In this design, we can see how a shipping container has been used to create a gorgeous outdoor little house or cottage in a simple and budget-friendly way. 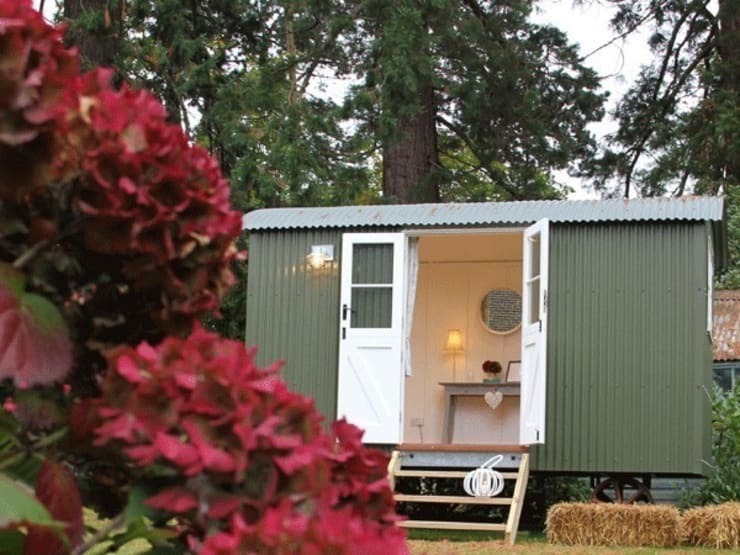 Have a look at these 9 great container homes you'll wish you lived in for inspiration. This South African design by Architecture for a Change is a great example of how a container house can be easily transported, looks savvy and is very functional. This would be the ideal garden house—except you may never want to leave! 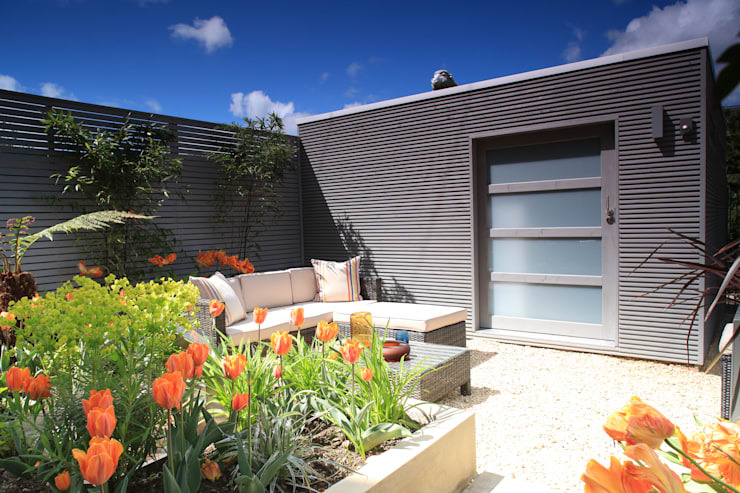 If you have the space in your garden, why not extend your garden container house into a little terrace like these designers have done? You'll create a whole little entertainment area! This would be perfect for a little braai area by the swimming pool! Don't forget to pay some attention to your garden house with decor and design elements. Repaint the exterior walls and add beautiful features throughout the interior space. You want this little area to ooze charm, personality and style. If you've enjoyed this, you'll also love these 6 budget-friendly container houses you'd want to live in. Would you choose a container for your garden?